Let’s get started. 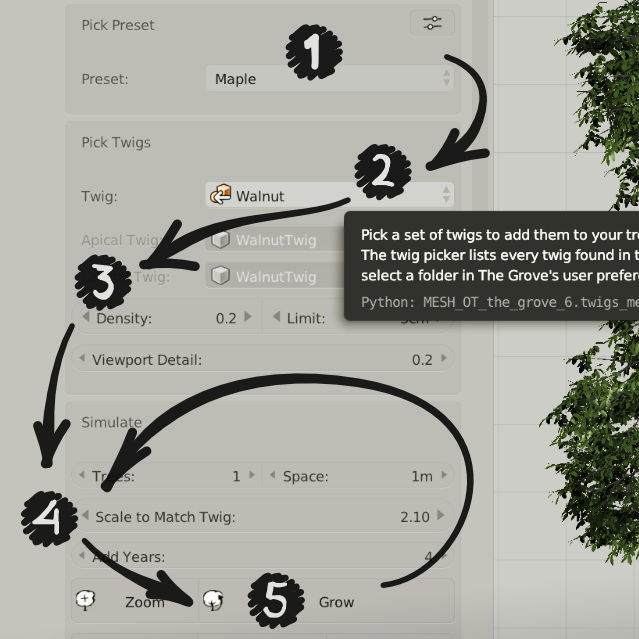 If you haven’t already, get The Grove 3D tree growing software. Download it to wherever you like and follow the Install instructions. When you’re all set up, get growing with the Quick Start tutorial. Use The Grove’s twigs, create your own, or even distribute simple leaves. Learn more on Creating and Using Twigs. The Grove plays well with others. Best of all, The Grove’s unique twig system works great in other 3D software. Cinema 4D, LightWave, Modo and 3ds Max all support this system with minimal effort. If you run into something, the Frequently Asked Questions may well keep you growing. Click on any of the six main features below to learn the ins and outs of The Grove. 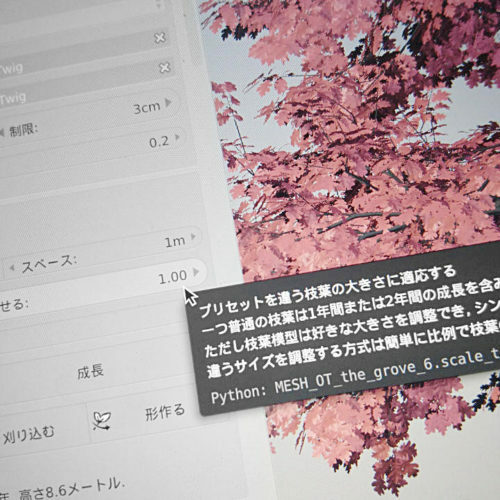 Growing 3D trees has never been easier and you’ll have results within minutes. Master growing virtual trees by learning the inner workings of their real world counterparts. Trees have evolved to fascinating organisms that have some neat tricks up their sleeves. The Grove is available in several languages. This is a documentation of how this was made possible, as a reference to fellow addon developers who want to translate their own addons.